So I wondered about exactly that when I entered Westfall last week. I was so impressed that there are even seasons in WoW! 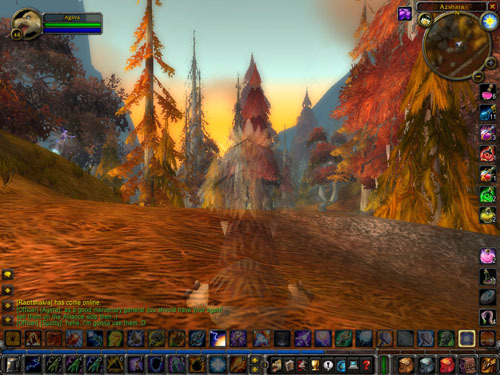 But then, it's still summer in Elwynn Forest and the autumn of Westfall looks more like parched south western USA, and Dun Moragh is always wintery, it seems, so perhaps I was wrong. Its is always like that in Azshara :) Too bad WoW does not include dynamic weather and / or dynamic seasons.